One of our newsletter subscribers contacted me about the change to Blue Cross Blue Shield Basic for 2018. The FepBlue.org site states, “If you have the Basic Option, you can get a $600 Medicare Reimbursement Account (RMA) if you have Medicare Part A and B. You must use this account to pay your Medicare Part B premium. Each member on your contract with Medicare Part A and B is eligible to earn $600. ” That’s $1200 a year for a Self Plus One enrollment when both have Medicare! To obtain the reimbursement you must provide proof that you paid Medicare premiums in 2018 by submitting copies of your Social Security Checks, bank or COLA statements, or canceled checks. Blue Cross Blue Shield will provide additional information about the RMA accounts later this month. I called their information number and the representative said they hadn’t published the specifics yet. When you sign up for Medicare they become your primary provider while your FEHB plan becomes the secondary. Medicare pays first and then your FEHB plan pays a portion if not all of the remaining bill for you. Most FEHB plans pass on those cost savings to their members by waving many of your deductibles, copayments and coinsurance requirements. This time of the year those 65 or older receive many offers in the mail and on TV and social media for Medicare Supplement Plans. When you sign up for a Medicare Supplement Plan your only option is to cancel your FEHB plan, you can’t suspend coverage. I wrote two articles, CAUTION – Don’t Lose Your FEHB Coverage and FEHB Suspensions that discuss the severe consequences a number of our readers suffered by doing so. The suspension article provides a detailed list of things you must know before making this move. Many Medicare Supplement Plan brokers don’t understand the FEHB program and end up selling you a product that doesn’t provide the comprehensive coverage you now have. If you know of anyone considering leaving the FEHB program forward this article to them. This summary compares the 2018 premiums, significant changes, and discusses what to expect when you sign up for Medicare A & B. There are many other plans to consider. I used these two nationwide providers because BCBS has the most subscribers and GEHA has one of the lowest premiums for their standard plan. You should also use OPM’s Compare Plans tool that will be available soon for 2018. The GEHA Standard Self Plus One Plan charges $255.92 monthly, $3,071.41 a year while the BCBS Basic Self Plus One Plan charges $372.32 monthly, $4,467.84 a year; $1,396.43 more than the GEHA plan. However, if both members in the BCBS plan have Medicare A & B and establish a RMA account their annual costs decrease to $3,267.84, just $196.43 more than the annual GEHA costs. There are other costs to consider. For example, you will find that BCBS Basic limits deductibles, copayment, and coinsurance waivers for Medicare enrollees to in network providers while GEHA Standard includes waivers for both in and out of network providers according to page 106 of their brochure plus they pay doctor visit copayments. According to the BCBS 2018 Pamphlet, page 146, “You must use Preferred Providers in order to receive benefits” for the Basic plan and on page 142 it states, “Under basic option we will waive copayments and coinsurance for care received from covered professional and facility providers.” Here is where it does get complicated. When you are enrolled in Medicare you can go to any provider. Just be aware that some plans may not waive deductibles, copayments, and coinsurance fees for out of network providers and that can be expensive. Check Section 9 of your FEHB plan brochure to verify coverage. Medicare Part B Premiums add to your monthly healthcare costs which for 2017 was as low as $134 to as high as $428.60 due to Medicare’s Part B income adjusted premiums. Many paid less than the $134 last year, approximately $109, due to the hold harmless clause that prohibits Medicare premium increases when COLAs are very low. To qualify for the lowest Part B premium those filing an individual tax return must have a Modified Adjusted Gross Income (MAGI) of $85,000 or less and married couples $170,000 or less. Gross Income (GI) is calculated before MAGI. Gross Income (GI) is total income earned through wages, dividends, interests, royalty and rental, business income, capital gains, and others. MAGI is calculated by adding back certain deductions such as tax free municipal bond and student loan interest, tuition, rental loss and IRA contributions to name a few. If BCBS members apply for and receive $600 each per year under a Medicare Reimbursement Account (MRA) their adjusted monthly costs would be reduced to $755.32. My wife and I elected to retain our original long term care policy and accepted the major reduction in coverage last year. We each pay around $80 per month. Many feds pay considerably more for their long term care premiums. 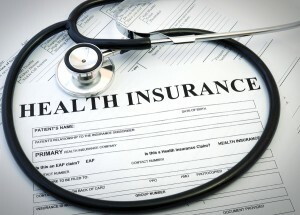 The significant change for BCBS Basic is the $600 Medicare reimbursement account (MRA). Other changes are listed on page 16 of the brochure for the Basic plan and changes for the BCBS Standard and Basic plans are listed on page 17. When you are enrolled in the Standard Option, your external hearing aid benefit has increased to $2,500 per person every three years if you are an adult, or $2,500 annually for your child up to age 22. See page 44. BCBS offers the same reimbursement. GEHA will begin using the Advanced Control Specialty Formulary (ACSF) which may reduce your out of pocket costs but will limit your options for filling medication because they require step-therapy and adherence to a strict formulary. The ACSF requires you to use a preferred specialty drug before using a non-preferred specialty drug. The ACSF may change quarterly. Please see Section 5(f) Prescription benefits, page 78, for additional information concerning the ACSF. Other changes are listed on page 15 of the brochure. Most federal annuitants are hesitant to sign up for Medicare Part B due to the additional cost and what appears to be duplicate coverage. I personally know a number of retirees that are now paying large copayments and coinsurance fees because they didn’t sign up for Medicare Part B at age 65. In one instance, Pat the wife of a man I worked with for many years, is now in her late 70s. At age 65 her husband decided not to sign them up for part B. Pat called me 6 months ago asking if it was too late to sign up for Part B. She required full body scans that she was paying a $1700 copayment each time she had the scan done. She was also paying other high coinsurance fees. Pat could still sign up however for each year she delayed signing up Medicare charges a 10% penalty and in her case it would have cost her 140% more for her coverage, over twice what a person that signs up for Part B at age 65. If you review coinsurance and copayment costs within your current FEHB plan you can see where the costs could be prohibitive for major medical problems. For example, in the GEHA Standard Plan those who don’t have Part B would have to pay a $15 copayment for a PPO primary care physician visit; a $30 copayment to see a specialist for covered office visits and 15% of other covered professional services including X-ray and lab. If the service is provided by a Non-PPO the member has to pay 35% of covered professional services. If your procedure is at a Non-PPO and costs $5,000 you would be required to pay the first $350 deductable and then an additional $1,750, your 35% share of the costs. With Part B these fees are waived. Reference page 125 of the 2018 GEHA Plan Brochure. There are advantages to researching your FEHB plan benefits when enrolled in Medicare. One of the advantages of the GEHA Standard Plan when compared to the BCBS Basic Plan is the fact that with Medicare A & B GEHA benefits are the same whether or not your provider is in their network. There are many other considerations to take into account when signing up for any plan. Those who use a large number of prescription drugs must review reimbursements to see which plan will cover the most and if you need special procedures ensure the provider you select offers the services you need. There is more to your selection than meets the eye. Take your time this open season to thoroughly review your options and costs.